Bassist/Composer/Arranger Leon Lee Dorsey is indeed a triple-threat, handling bass-playing, composing and arranging tasks with equal aplomb. Never have these gifts been more abundantly evident than on his latest CD release, Song Of Songs. Joined by Bryan Carrott – vibes, Carlton Holmes – piano, and Vincent Ector – drums, Dorsey and his intuitive cohorts take the listener on an adventure through nine tracks that alternately shine, soothe, smolder and burn, all while swinging incessantly as well as maintaining a supreme sense of melody throughout. Leon Lee Dorsey’s fluid and ubiquitous bass has energized Jazz masters Lionel Hampton, and Art Blakey with his Jazz Messengers, as well as Grammy winning Jazz vocalist Cassandra Wilson. In addition he has performed under the baton of conducting legends Lukas Foss and Robert Fountain. In September 1999 he made his solo recital debut at Lincoln Center. A composer and arranger, he has performed with jazz luminaries that include: Dizzy Gillespie, Wynton Marsalis, Freddie Hubbard, John Lewis, Kenny Clarke, Jon Hendricks, Gloria Lynn, Harry “Sweets” Edison, Dorothy Donegan, Stanley Turrentine, George Benson, Ellis Marsalis, Neena Freelon and Terumasa Hino. 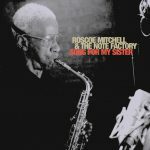 He has also performed in big bands with the Smithsonian Jazz Masterworks Orchestra, Benny Carter, the Duke Ellington Orchestra and Charlie Persip’s Superband. Other career highlights include working with Frank Sinatra at Carnegie Hall, guest appearances at the White House under Presidents Reagan and Clinton and performing with Joe Williams and the operatic diva Marilyn Horne. He has graced jazz festivals throughout the world and recorded with Lionel Hampton, Art Blakey, Arthur Prysock, Freddie Hubbard, Dakota Staton and numerous other jazz artists. 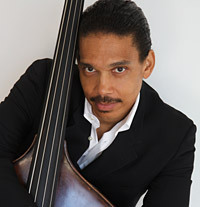 Completing his Doctorate in Classical Double Bass under the distinguished Ron Carter at the Grad Center of City University of New York with, Dorsey holds Masters Degrees from the University of Wisconsin and the Manhattan School of Music and two Bachelor of Music Degrees from Oberlin College. Although his talents encompass the entire spectrum of music, jazz is this exciting young man first love. Says Dorsey, “Jazz requires the highest level of knowledge, study and training across the board”. Holding his convictions, Dorsey says he owes it all to God.